One woman suffered critical injuries in a two-vehicle car- crash that occurred on October 20, 2010, around 8:06 a.m along Interstate 10 (I-10) in San Bernardino. According to California Highway Patrol officers, a woman complained of severe chest pain after a steering wheel hit her badly in the chest area. This San Bernardino County car accident slowed down the traffic traveling on Interstate 10 in San Bernardino, approximately 96 miles from San Diego, for some time. The exact cause of this auto accident still remains under investigation. 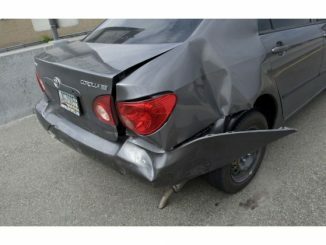 The injured victim here would be well-advised to consult with an experienced San Bernardino personal injury lawyer, who will stay abreast of the official investigation and make sure that the negligent parties are held liable. It is very crucial for an investigation to start before memories fade and before critical evidence at the collision scene has been removed, washed away, or otherwise altered. If it is found that this car crash occurred due to the negligence of the other car driver, then the injured woman can seek compensation to cover the medical costs and the pain she suffered. We sincerely hope that the injuries sustained by the injured woman do not prove fatal and that she recovers to her complete health soon. 72-year-old Beverly Glass was struck and injured in a serious hit-and-run car wreck that occurred on October 12, 2011, around 3:30 p.m. on Interstate 10 (I-10) just east of North Indian Canyon Drive. According to the California Highway Patrol, Glass was trying to walk across traffic lanes when she was struck by a black, late model Volkswagon Jetta. The victim was thrown onto the shoulder of the freeway. The car driver, who is believed to be a 25- year old woman stopped, talked to several witnesses, then got in the car and left the accident scene. The driver has not been cited as yet as the accident is still under investigation. Glass suffered serious injuries and was immediately transported to Desert Regional Medical Center for medical treatment. From the available information, it appears that the car driver negligent driving and irresponsible actions contributed to this serious pedestrian wreck. Meanwhile, the injured victim or her family members should immediately seek counsel from an experienced Riverside County pedestrian accident lawyer who would educate them about their legal rights and options and would assure that the at-fault motorist is brought to justice. The injured victim can also file a personal injury claim against the at-fault Jetta driver to obtain timely compensation to cover treatment, medical and hospital costs, and other accident-related damages. 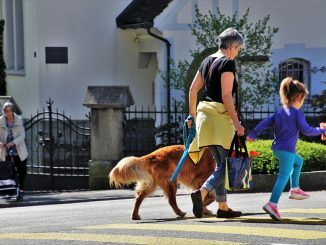 Our personal injury law office sincere hopes that injuries suffered by the pedestrian heal soon and do not prove fatal.